What a top breast health doctor wants you to know about improving your breast cancer risk factors through simple eating habits. One in eight. You know the statistic by heart – that’s how many women will stare down breast cancer in their lifetime. While we all walk around with that all-too-real fact hovering in the backs of our minds, award-winning Ob/Gyn Sherry Ross, M.D., says we’d do a lot more for our health and well being if we instead tucked away a few key nutrition nuggets that will put us on a prevention path. To be clear, you can’t eat your way to 100 percent protection from breast cancer. But when you fill your plate with foods that are known to boost your immune system and that are low in saturated fat and high in fiber, she explains, you can lower your chances of developing breast cancer. And if you have or have had breast cancer, studies show this healthy eating style may help reduce the risk of breast cancer coming back. Meatless meals. We’re not knocking a good burger or decadent cheese platter, but for the sake of your breast health, it’s a good idea to move red meat and high-fat dairy into your “just-on-occasion foods” column. A better way to meet your daily protein needs (and you do need daily protein to protect your muscle mass) is with beans, lentils, chickpeas, quinoa, edamame, nuts and seeds, tempeh and tofu. Lucky you, all of these foods are versatile workhorses in the kitchen and can easily be swapped into your favorite recipes. Here’s why: The Nurses’ Health Study II revealed premenopausal women who regularly ate red meat, full-fat dairy and other foods that were high in animal fat had a 40-50 percent higher risk of breast cancer, compared to women whose diets were low in animal fats. If you have breast cancer, you should also be aware that red meat and high-fat dairy may increase estrogen levels, which may also raise the risk of recurrence. Good fats. Yes, good fats are a real thing! When you’re at the supermarket, stock up on salmon (and other cold-water fatty fish), flaxseed, extra virgin olive oil, avocados, nuts and nut butters. These foods contain monounsaturated and polyunsaturated fats—aka, good fats. Here’s why: In studies, reported in the Journal of the National Cancer Institute and the British Medical Journal say that both types of fats have been shown to lower the risk of breast cancer. Plus, they’re great for your heart health and immune system. While you check labels for these good-for-you fats, it’s also important to keep a check on your saturated fat intake. 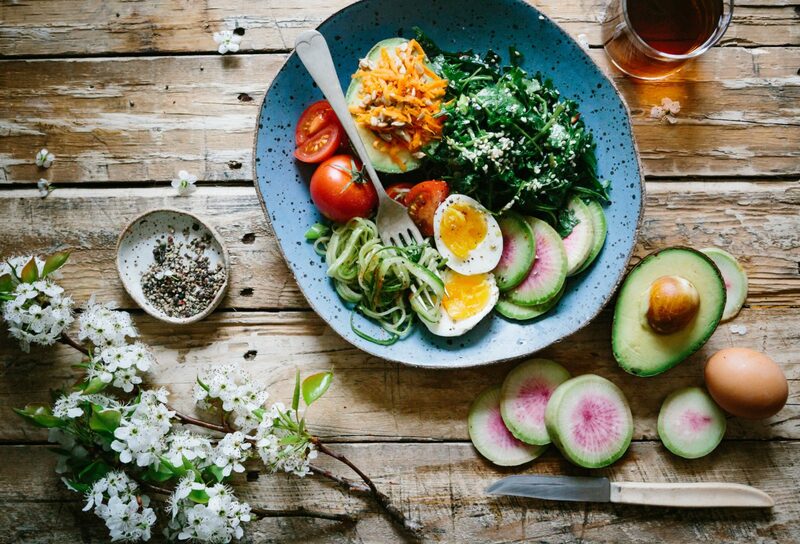 In the landmark Women’s Health Initiative Trial, one of the things researchers looked at was the invasive breast cancer risk of postmenopausal women who ate a low-fat diet, compared to women who continued to eat their regular diet. They only noted modest differences, with the exception of one group of women: Those who normally consumed high amounts of saturated fat saw a significant improvement in their risk factor when they switched to a low-fat eating plan. What gives? Dr. Ross notes that when you start to cut out saturated fat you start to increase your intake of healthier foods—vegetables, whole grains, legumes, fruit—which can help you lose weight and improve your overall health. Vitamin D and calcium supplements. Bones aren’t the only body part to benefit from this super-duo—your breasts reap some pretty powerful health rewards, too. It’s fairly easy to meet your daily calcium needs (1000 mg) with food. (Dark, leafy greens; low-fat yogurt; fish; and fortified almond milk are good options.) But most women have a tough time getting enough vitamin D from food, says Dr. Ross, so supplements are key. The current daily D recommendation is 600 international units (IU), but she suggests getting your vitamin D levels checked so your doctor can direct you to the correct supplemental dose. Here’s why: A number of studies have found a connection between higher amounts of vitamin D and calcium and lower risks of breast cancer. More recently, researchers have found that women with breast cancer who also have low levels of vitamin D are more likely to have a recurrence, compared to breast cancer patients with higher levels of D.
Soy. There’s a flurry of misunderstanding that surrounds this plant-based protein. It’s true that some lab studies done on cells have shown that certain soy isoflavones (a type of compound) appear to encourage cancer cell growth. But those results haven’t been duplicated in human studies. In fact, whole soy foods like edamame and tofu (as opposed to foods that have soy proteins added to them, like an energy bar or a vegetarian “meat”) may actually have a protective effect for women with breast cancer. Here’s why:In the Shanghai Women’s Health study, which looked at the health and eating habits of more than 75,000 Chinese women, researchers found that women diagnosed with breast cancer who ate higher amounts of soy (about 10 grams a day, or 1 ½ cups, which is typical for a standard Japanese diet) had a 25 percent lower risk of breast cancer recurrence, compared to women who didn’t eat much, or any, soy food. The results were most promising for women with estrogen-receptor-negative breast cancer. Another study found that eating moderate-to-high amounts of soy foods dropped breast cancer risk for post-menopausal women. Are the studies definitive? No, says Dr. Ross, but soy food can certainly be part of a well-balanced meal plan.